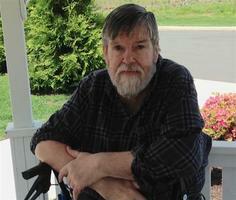 Provide comfort for the family of Wayne Strange with a meaningful gesture of sympathy. Wayne Phillip Strange of Farmington, CT, formerly of Hartford, CT, left this world on April 6, 2019. He was predeceased by his mother, Alberta Lysle Brigham Strange and his father, Robert Alfred Strange, a sister, Lois Eileen Piacenti and a brother Stanley Brian Strange. He is survived by a brother Marshall Strange and his wife Laura Martinez Strange, his sisters Roberta Strange and Sharon Capezza, and a brother Robert Strange and his wife Deborah Carpenter Strange. He also leaves behind several nieces and nephews. Wayne was an Instructor of Physics at Trinity College, specializing in laboratory work. He co-published several papers on Physics with colleagues at Trinity. He particularly enjoyed working with curious and enthusiastic students. He also loved his cats, fishing and hunting. Wayne’s gentle manner and intelligent humor will be greatly missed. Funeral arrangements will be at the discretion of the family. No services are currently planned. Donations in his honor may be made to the Connecticut Humane Society or any charity of your choice dealing with the care and safety of animals. The Vincent Funeral Home of Canton is caring for the arrangements. Please visit www.vincentfuneralhome.com for online tributes.